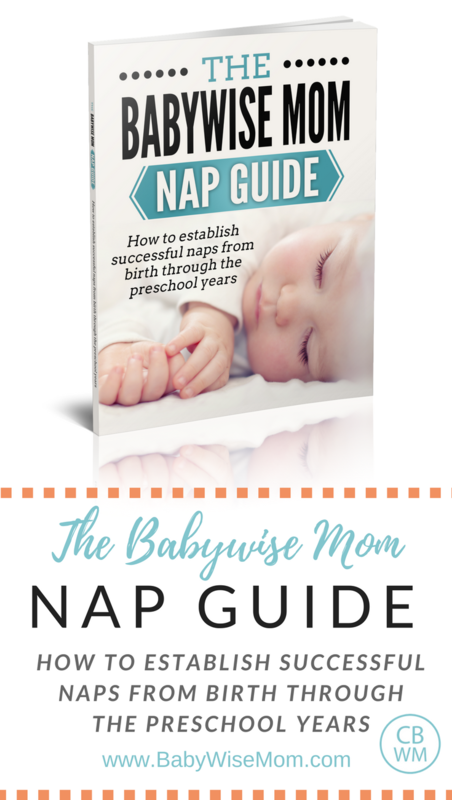 The Babywise Mom Nap Guide: How to establish successful naps from birth through the preschool years. Of all of the questions I get on my Babywise Mom blog, the topic most frequently inquired of is naps. How to get baby to take a nap? Why won’t baby nap? Why does baby wake up after 45 minutes? How can I get baby to sleep? You can find tons of nap information on this blog. What the book does for you is consolidate the information and put everything you need to know about naps in one place. This way you don’t have to search through the entire blog and bounce around looking for the information you need. Fatima said: “You can’t imagine how this book and your website really changed my twin daughters’ lives and certainly mine. I knew that I wanted to go the babywise way but had no practical guidance how to do so and your book helped immensely with that. Until today, and my daughters are about ten months old, I use your book as a reference even sections that I didn’t understand before or didn’t know the value until today. Words can’t express my gratitude as it has been really tough as a newly mom of two. I have read several books and websites and really your book should be distributed as a key reference to new moms. 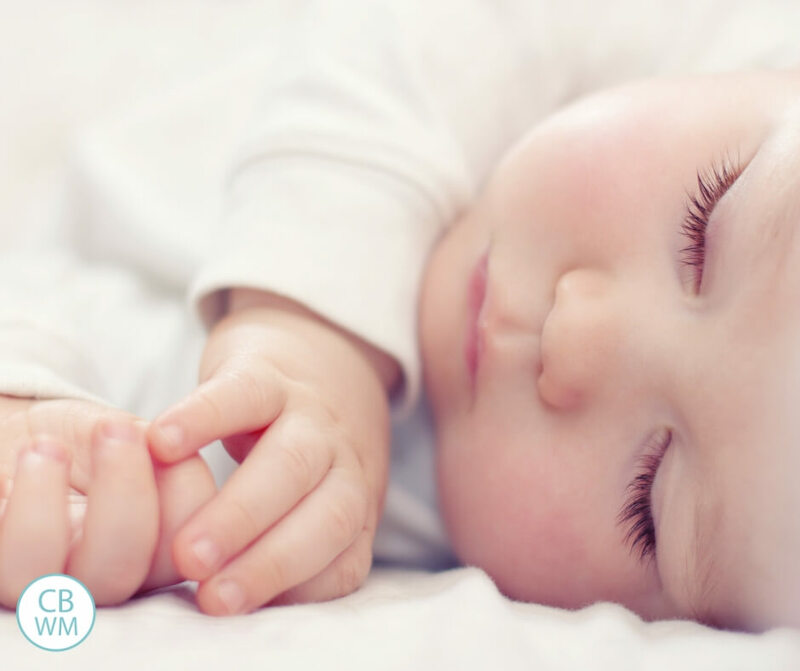 I had no sleep for the first three months after my daughters were born until I discovered babywise and importantly your website; since then my daughters have been sleeping beautifully for about 10-11 hours every night. 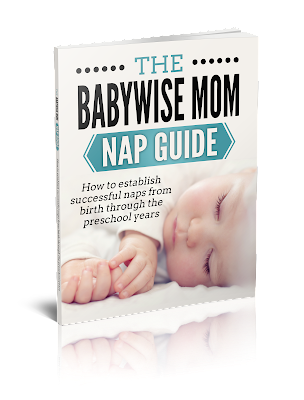 Veronica said: “The Babywise Nap Guide was a survival tool for me in my early days of Babywise. I was a late starter (my son was 7 weeks old) and we had done a previous program that advocated nap times that were far too long for a baby his age so by the time we switched to Babywise his naps were a mess and I was an anxious and stressed out Mum who had no idea how long he actually should be awake. The first point that helped me greatly was realising that other Mum’s had the same issue of 45 minute naps AND SURVIVED! It wasn’t the end of the schedule, I wasn’t ‘messing up’ as a Mum and I hadn’t ruined my son’s sleep patterns for life – there was hope! Even now, at 23 weeks, I am still constantly referring back to the guide for assistance on extending wake times, checking optimal wake times and, most recently, dropping a nap.